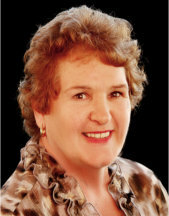 Marriage means different things to different people and that is why choosing a Civil Wedding Marriage Celebrant to perform your Wedding Ceremony enables you to be very involved in the structure and format of a ceremony to ensure that it is both Unique and Meaningful to both of you, Because both of you are Unique. 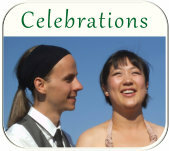 When you engage Civil Celebrant for your wedding any other celebration you have so many choices. You can choose the person whose personality, skill and imagination suits you. You might you choose the traditional Wedding Reception Venue's chapel or garden, a local park, a scenic location like the beach, a restaurant. As a point of interest we have completed weddings on farms, and boats, in horse and carriage even on trains. It is a legal requirement that we need to have five (5) people, being the couple, two witnesses and celebrant present at your marriage. So you can hold your ceremony anywhere, even the smallest places. You are able to control the date and time of your marriage, you can choose your own music, vows, readings and inclusions, you can also include your pets. You can decide how long you want the ceremony to be, the style or theme, you can include prayers and religious scriptures if you wish. This is a ceremony that is created with your full involvement. You will be asked a lot of questions so that I can learn about you, your love for each other and what it is that your marriage will mean to you. Your family and your future together. Some couples just want to have a simple ceremony that tells of their hopes for the future includes their own reading and music choices and personal vows. I offer my home to you for this option. All you have to do is provide your two witnesses. I will deliver a short and sweet ceremony for you. 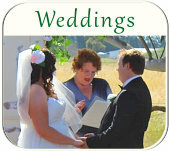 The elopement is also available for those who want a very simple ceremony with just a few guests present. A Civil Wedding Marriage Ceremony can be simple and romantic, or full of symbol and ritual. 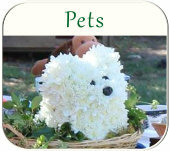 You can involve as many people as you wish, even your pets if they are very important to you. You can celebrate your marriage at a time and location that is special to you. The music and readings can be your own or we can provide you with resources from which to choose. We will help you write your own vows if that is what you would like. Even though I am a Civil Wedding Marriage Celebrant, you are not restricted from having some religious content if you wish. 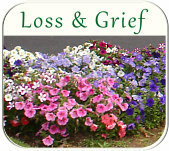 We will work together with you to include any rites and prayers that are relevant to you both. You and your Fianc� are unique. Your Love is Unique Your Relationship is Unique. Your hopes and desires for the future are yours alone. Allow us to incorporate these thoughts, hopes and dreams into your Civil Marriage Ceremony to make it Uniquely Yours! The beginnings of your Marriage Ceremony. Civil Celebrants will generally follow a process of getting to know you by asking a lot of questions about how you met, how long you have been together, what you have achieved so far in your relationship, where you plan to go in the future. You will be asked what theme you want for your wedding day and if you want to include any cultural or significant rituals in the ceremony. Couples who are of different cultures or nationalities might include rituals that are common in their home country. Others may choose to have something that symbolises the union of their two respective families. 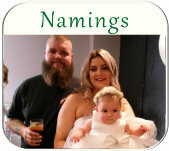 You will find that I have a wide range of ideas that you can incorporate into your day and I am skilled at creating those that have not been used before, or adding that personal touch to the more commonly used rituals..
At Access Civil Ceremonies we work with you to design a ceremony that is truly yours. 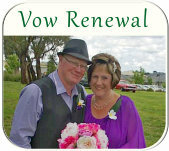 We will help you write your own vows if that is what you want or we can offer a selection from which you can choose. These can be used as they are or used as a model from which to write your own. Ring ceremonies too, can be especially written for you. You can write your own or you may opt for one of the more traditional choices of words. I offer a large selection of resources from which to choose. I can promise you something very special. Please call me, I will be very happy to answer any questions you may have 0401 275 678. It is YOUR DAY, It is about YOUR LOVE and YOUR WISHES. At Access Civil Ceremonies we strive to make it happen YOUR WAY! At Access Civil Ceremonies it really is the little things that count. We want your day to be special and we do not cut corners.